The Hangout for all Technology Enthusiasts! Fastly -- a San Francisco based content delivery startup that has raised $219 million in funding according to Crunchbase data and counts the likes of Stripe, Github, Airbnb, Pinterest, Audi, Buzzfeed, Ticketmaster, Vice, Spotify, and Reddit as customers -- has filed for a public offering on The New York Stock Exchange (NYSE). The company intends to list Class A common stock under the ticker "FSLY". 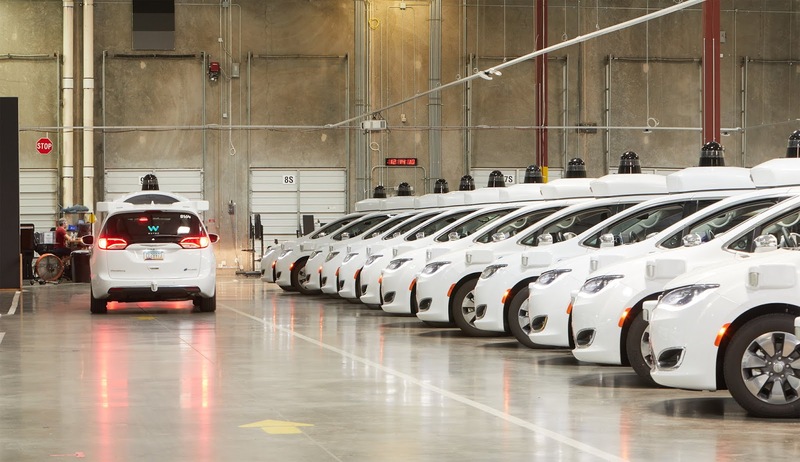 According to a Bloomberg report, Alphabet's Waymo met with over 12 auto companies including Volvo in 2016, seeking manufacturing partners for its self-driving technology, citing an internal document unsealed in court this week. The memo, marked "highly confidential", was penned on August 18 2016, the day a report that Uber was partnering with Volvo and that it had acquired former Waymo engineer Anthony Lewandowski's Otto was made by Bloomberg. "Did we try to talk to Volvo? Yes. We have met with over a dozen OEMs this year, including Volvo," Waymo said in the memo. "We were surprised they wanted to partner with Uber given the importance they place on safety, and developing this technology safely. However, the deal with Uber is non-exclusive for both parties." This statement indicates pursuit of auto manufacturing partners by Waymo even before it spun out as a standalone unit in December 2016. 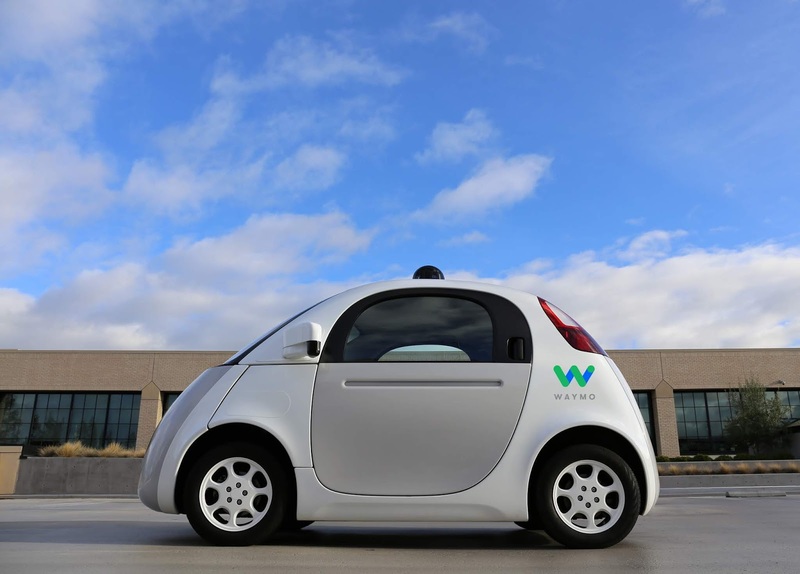 As of current, Waymo has partnerships with Fiat Chrysler, Jaguar Land Rover and Honda. The self-driving unit has made plans to add more than 62,000 autonomous Chrysler Pacifica hybrid minivans to its fleet. 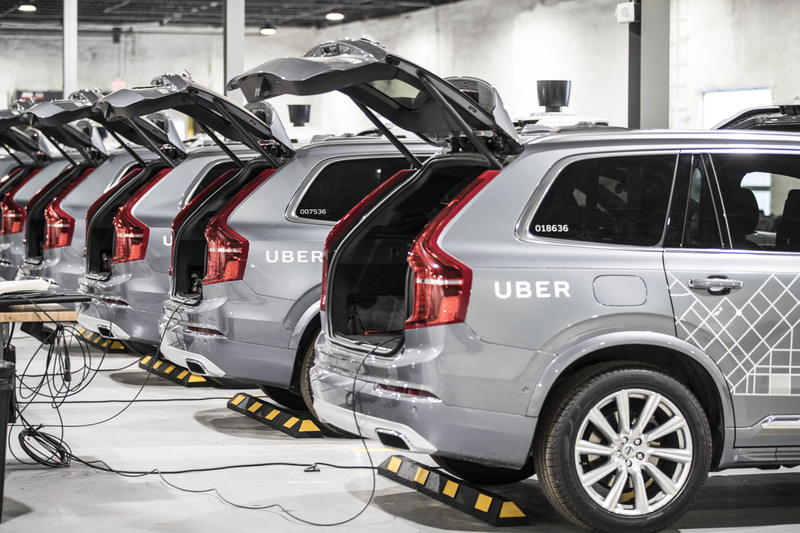 On the other hand, Uber also has an agreement with Volvo to purchase 24,000 of its XC90 SUVs between 2019 and 2021 for its self-driving fleet. Other notable partnerships in the self-driving space includes that between Daimler and Bosch, Cruise and DoorDash, Cruise and Honda and Kroger and Nuro. Also Ford backed Argo AI recently secured a permit to test self-driving vehicles in the state of California. The company which last raised $57 million in a Sequioa Capital led round and has been growing very well with the company counting over 300,000 customers as far as 2015 and a vast number of consumers currently making use of its suite of home security products. This majority acquisition represents another move by Hellman & Friedman making huge acquisitions and bets in the technology space with the investment company's tech portfolio including notable companies like DoubleClick, Getty Images, Customer experience solutions company Genesys amidst other of its notable investments. Right Now, You have a free copy of The Techie's first ever print Magazine - Access it here! A mag created with Madmagz. Automaker Ford has announced it's slashing thousands of jobs in its European operations as part of structural cost improvements to improve near-term financial performance. The company made this known in a statement issued to investors. “Ford aims to achieve the labor cost reductions, as far as possible, through voluntary employee separations in Europe and will be working closely with social partners and other stakeholders to achieve this objective.” The company said in its statement. These job cuts will affect both salaried and hourly workers across its operations in Europe. Ford is ending production at its plant in Bordeaux, France that manufactures small automatic transmissions by this year August and has began discussions to end production of the C-MAX and Grand C-MAX vehicles at its German facility. According to Reuters, Apple has held talks with at least four companies who count as potential suppliers for lidar sensors for driverless cars while it still works on an its own lidar unit. The companies involved are not named in the report. Such a move could indicate Apple's renewed ambitions to get into the driverless vehicle market even after layoffs that affected more than 200 from its self-driving vehicle project in January. Citing three persons familiar with the discussions, Reuters says Apple is seeking lidar units that would be cheaper, smaller and more easily produced on a mass scale that current technology. It says Apple is setting a high level with demands for a “revolutionary design”. Such effort may indicate Apple looking to develop the entire chain of hardware that'll power self-driving vehicles using custom tech. Misty II, a personal robot which non-technical owners can program using the Misty Blockly client, a visual block-based programming interface for creation of new skills for the robot to make it talk, roar, move, dance and more will be available for purchase April this year for $2,399, a four months delay from its initial proposed December 4 released date. Uber Advanced Technologies Group, the company's unit responsible for development of driverless vehicles has raised $1 billion in funding from Toyota, Denso, and Softbank Vision Fund. Toyota and Denso will put in $667 million into the round while Softbank Vision Fund funds the remainder $33 million. The investment values Uber ATG at $7.25 billion post money. This investment comes on the heels of Uber filing for an IPO. It also further deepens an alliance with Toyota which invested $500 million in Uber last year August. Uber and the Japanese automaker have agreed to work on the deployment of modified driverless Toyota Sienna vehicles by 2021. Toyota will also contribute an additional $300 million over the next three years to help cover costs related to the development of these vehicles. Intel has announced it's exiting from the 5G smartphone modem business, cancelling 5G modem products scheduled for launch in 2020. The company says it'll still continue to invest in its 5G network infrastructure business and complete an assessment of opportunities for 4G and 5G modems in PCs, IoT devices, and other data-centric devices. Intel recently said it expects its 5G modem chips to not appear in phones until 2020. A now complete pull-out from the market might affect its biggest customer, Apple, although the iPhone maker recently settled a long legal spat with chipmaker Qualcomm (Intel's exit from the 5G modem market is a likely explanation for the sudden settlement). Both companies have reached a multiyear chipset supply deal and a six-year license agreement, including a two-year option to extend. According to a report from the Nikkei Asian Review, Apple is cutting current production plans for new iPhones by 10% signalling expectation of a further hit in iPhone sales for the year after it recently lowered revenue guidance for its fiscal 2019 first quarter ending 29th of December 2018 due to lower iPhone sales. Nikkei says Apple asked suppliers late last month to produce fewer of new iPhones for the January-March quarter of this year. This will be the second time in two months that the company has slashed production rate of the iPhone if this stands true. Overall planned production volume will be reduced to 40 million to 43 million units for the January-March quarter from an earlier number of 43 million - 47 million units scheduled for production, Nikkei says. Samsung has delayed the launch of the Galaxy Fold, the foldable smartphone it unveiled in February amid reports of breakdowns during tests ahead of an official launch previously scheduled for the 26th of April. Samsung says initial findings from the assessment of report issues on the phone's display showed that the breakdowns could be linked to impact on the top and bottom exposed areas of the hinge. The company also said there was an instance where substances founded inside the device affected the performance of its display. "We will take measures to strengthen the display protection. We will also enhance the guidance on care and use of the display including the protective layer so that our customers get the most out of their Galaxy Fold." Samsung said in a statement. At the Consumer Electronics Show, Leno has brought three new PCs it dubs as its smartest consumer computers yet, the Yoga A940,Yoga S940 and Yoga C730 which spots features like voice recognition for multiple virtual assistants, AI-powered attention-sensing software, facial recognition for security and powerful processors between them.